Yesterday I stamped and colored a bunch of Lawn Fawn images to make a tag but didn't finish it. Today I looked at it and changed my mind and went with a side step card. Its a Lori Whitlock die for Sizzix. 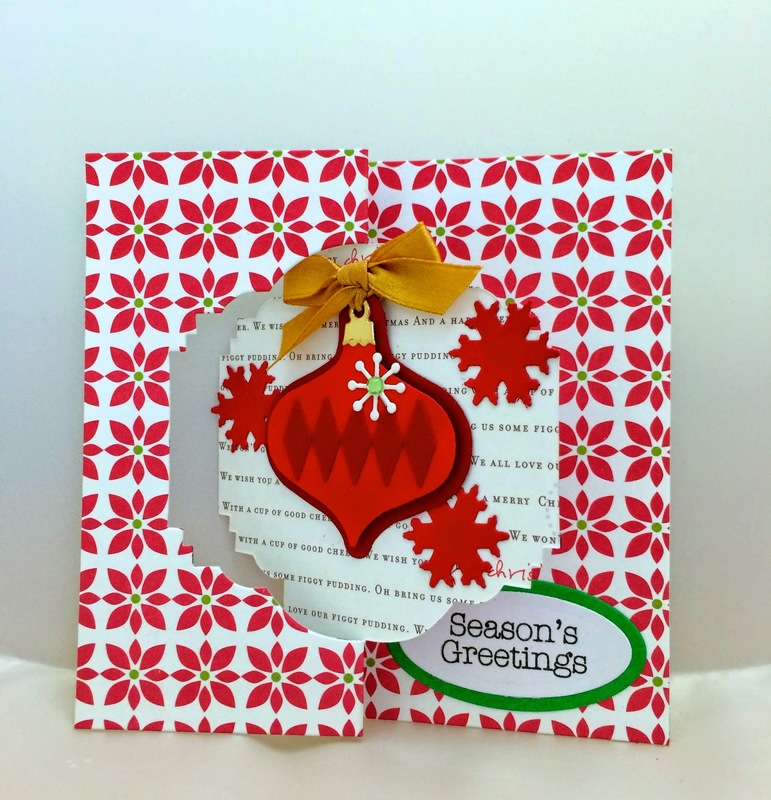 Great die to use up your scraps. Lately I've been busy putting up Halloween in my stores. I can't believe that the holidays are almost here in a couple months. The year has gone by so fast! Thanks for stopping by and hope you enjoy the Labor Day weekend holiday!!! Hi!!! I've been meaning to post this card that I made several weeks ago but then something happened and I didn't get a chance to do it. 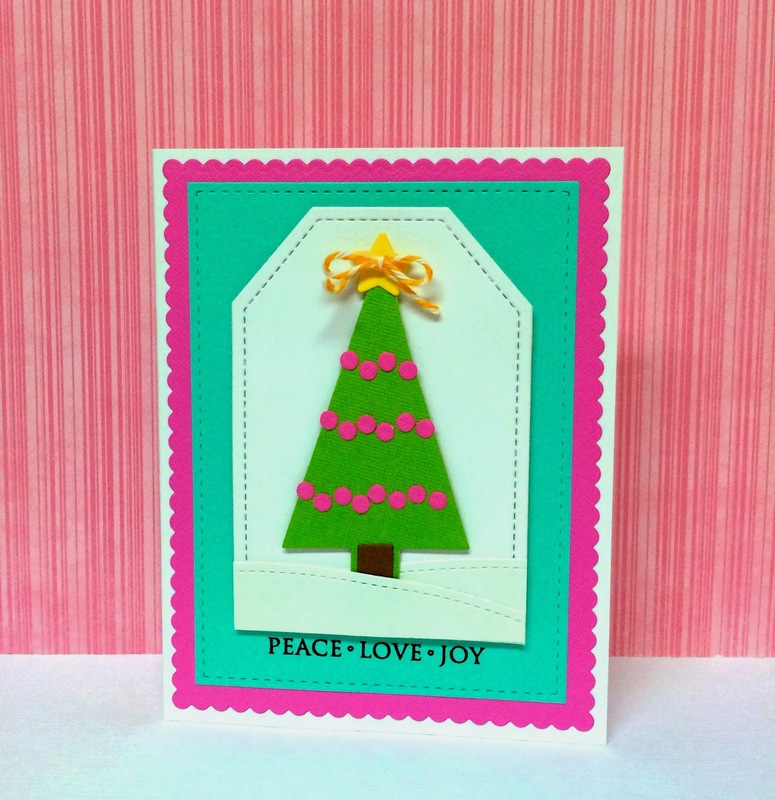 Here's the card that I made using the new Sizzix ornament triplits. 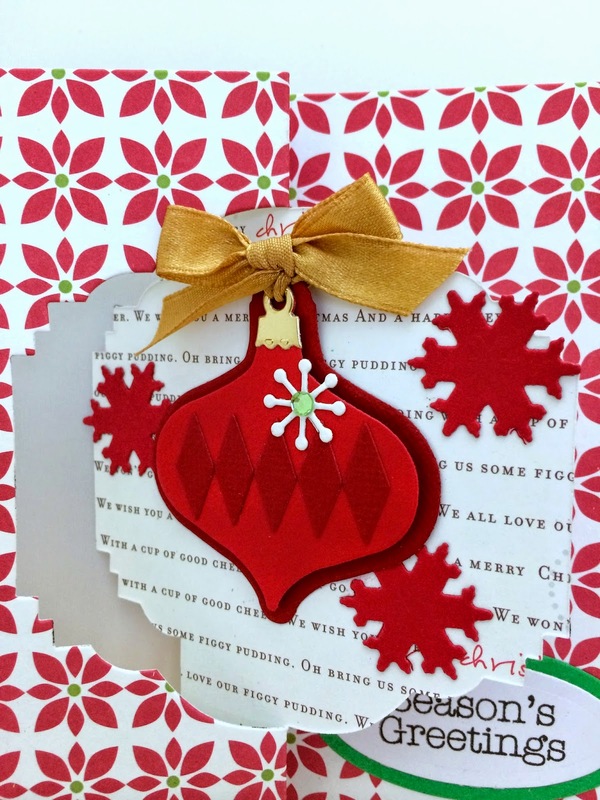 There are 9 dies in the package and you can make different sized ornaments. The card die I used is the majestic flip it die by Stephanie Barnard. I even cut the part where you attach the hook to the ornament in gold metallic paper. Well the other week, I ended up in the Kuakini ER again. I had taken new medication that didn't agree with me. I am such a weakling when it comes to medication. My husband and daughter took me to the ER because I could barely walk. And while I was there, the doctors were worried that I had a heart attack since the symptoms resembled a heart attack. They ran so many tests on me and kept me over night for more tests. Even a CAT scan on my brain. Everything came back negative so that was a big relief. 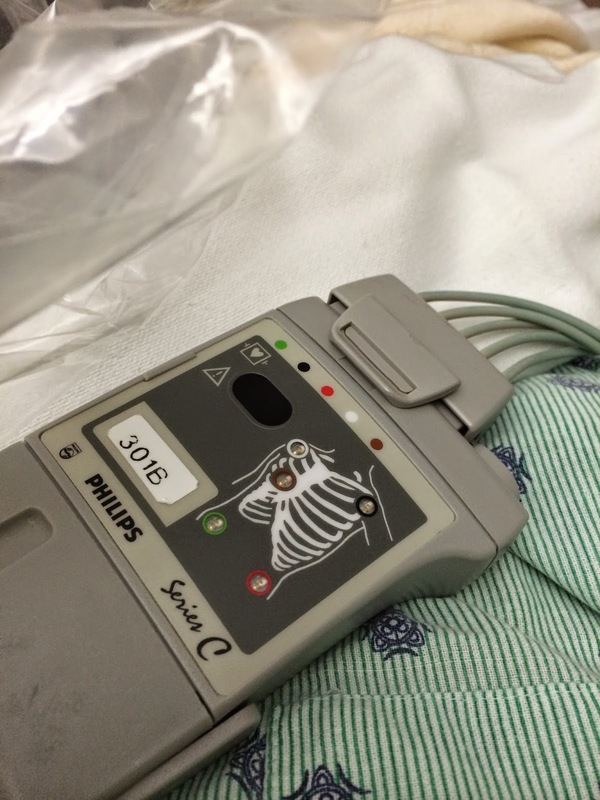 I had to sleep with the Holter monitor again. The whole time I was in the hospital, I kept thinking that I wish I had my big shot machine with me. Lol! 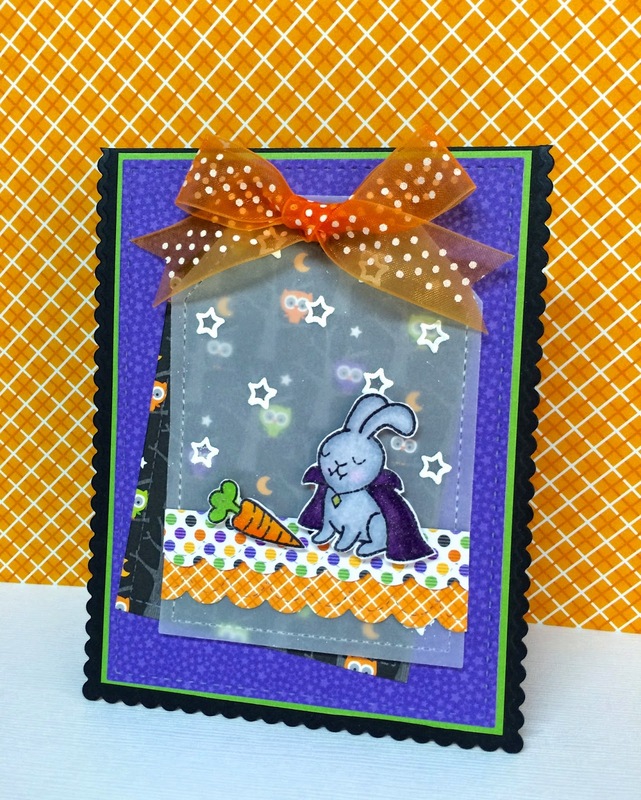 Now that I'm back to normal, I made a Halloween card over the weekend. 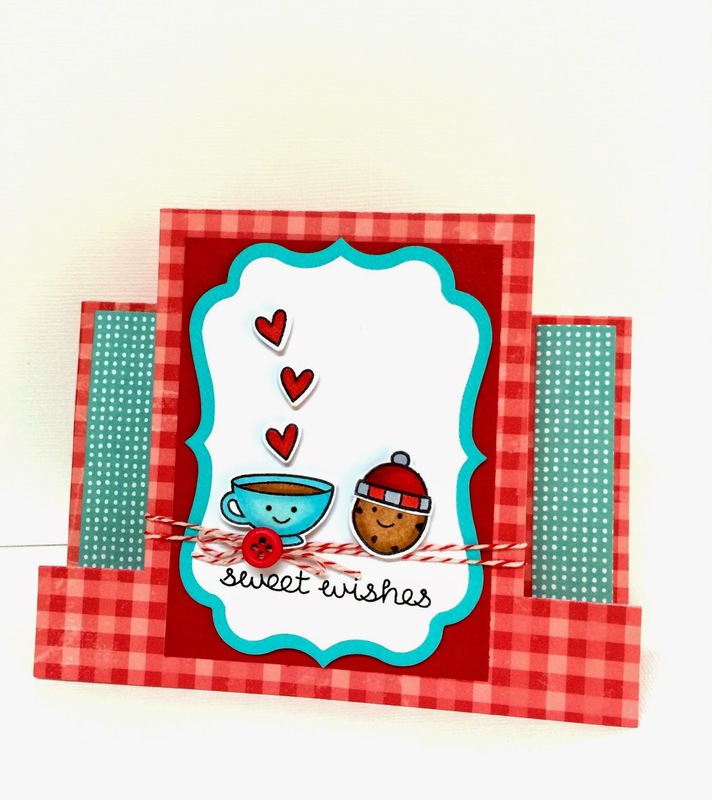 I saw this cute stamp set by Lawn Fawn at the store and the new Doodlebug papers so I knew what I wanted to make. I used vellum paper by Worldwin and embossed cute little stars over it. I used the clear Wink of Stella marker over the bunny and carrot even though you can't even see it in the photo. I'm so glad that I rep that line. They have a lot of new pens from Japan that just released before summer. Thanks for sticking with me through this long blog post. Have a great week!!! I've been working extra hours lately and I really wanted to make something with one of my Elizabeth Craft Designs dies so I finally sat down last week to play. Okay so, I must be uncoordinated because I had the hardest time figuring out how to put this accordion die together. No joke! I watched the youtube videos over and over to make sure I got it correct. Once I got it figured out, it was easy peasy. 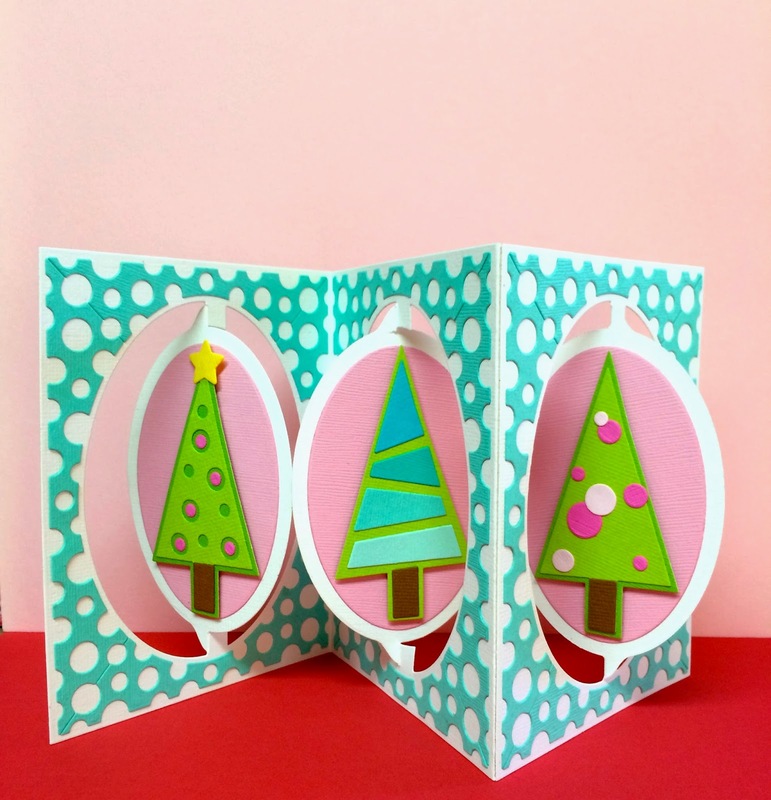 I used the new Sizzix triplits Christmas trees die set for all the trees. It's such a great deal because you get a total of 14 dies and you can make all these different Christmas trees. Here's another tree from the same set. But I made this one into a card. The stamped sentiment is an older Hero Arts stamp. I'll probably make some tags for Christmas too. 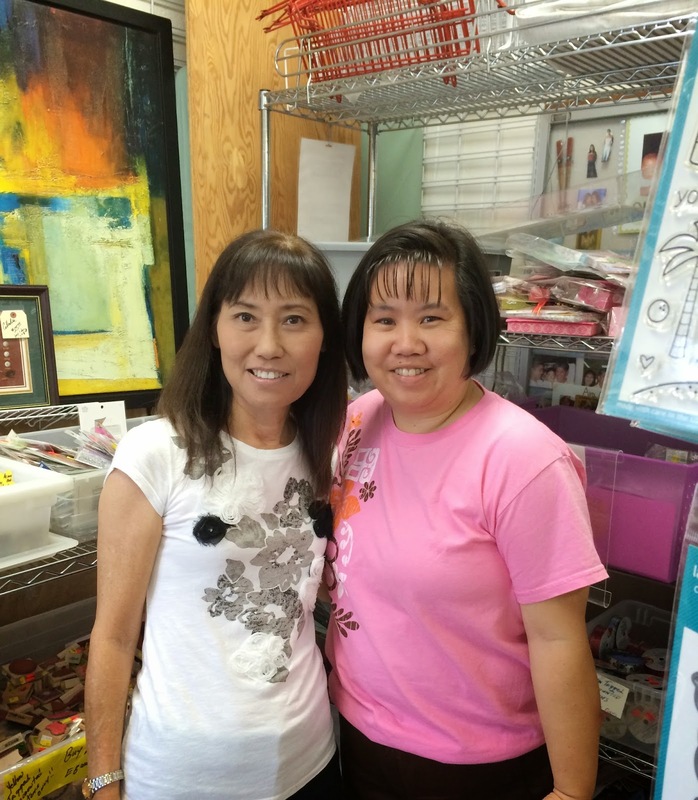 I finally got to meet Colleen Kwan (another crafty blogger) who was visiting from the mainland. I wasn't planning on seeing anyone last weekend at the store. I just happened to walk in to drop something off and she was there shopping with her friend. So glad that we got to meet each other. She was so generous to bring us a bag of goodies. Thanks so much Colleen!!! Hope you're all having a great weekend! It is so hot and I wish it would rain. Thanks for stopping by today!! !